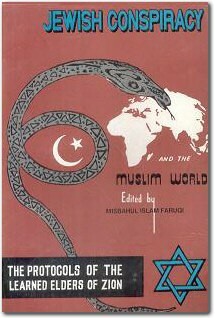 King Faisal of Saudi Arabia regularly presented copies of this edition of the Protocols to state visitors during the early 1970s. Published in Karachi, Pakistan, 1969. Courtesy of Hassan Mneimneh.